Go to war and every politician will thank you, and they’ll continue to do so -- with monuments and statues, war museums and military cemeteries -- long after you’re dead. But who thanks those who refused to fight, even in wars that most people later realized were tragic mistakes? Consider the 2003 invasion of Iraq, now widely recognized as igniting an ongoing disaster. America’s politicians still praise Iraq War veterans to the skies, but what senator has a kind word to say about the hundreds of thousands of protesters who marched and demonstrated before the invasion was even launched to try to stop our soldiers from risking their lives in the first place? 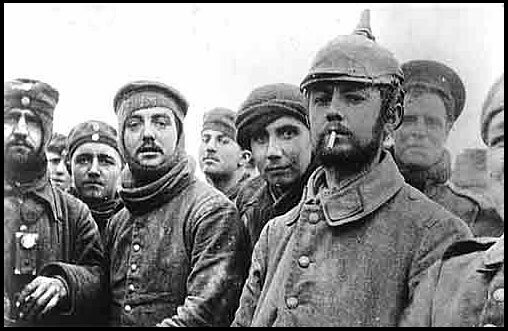 Given the rarity of peace celebrations of any sort, what’s made the Christmas Truce safe for royalty, mayors, and diplomats? Three things, I believe. First, this event -- remarkable, spontaneous, and genuinely moving as it was -- did not represent a challenge to the sovereignty of war. It was sanctioned by officers on the spot; it was short-lived (the full fury of shelling and machine gunning resumed within a day or two, and poison gas and flamethrowers soon added to the horror); and it was never repeated. It’s safe to celebrate because it threatened nothing. That supermarket video, for instance, advertises a commemorative chocolate bar whose sales proceeds go to the national veterans organization, the Royal British Legion. The impact rippled through the Russian army. An American correspondent at the front watched through binoculars as Russian and German enlisted men met in no-man’s-land. Lack of a common language was no barrier: the Germans thrust their bayonets into the earth; the Russians blew across their open palms to show that the Tsar had been swept away. After November of that year, when the Bolsheviks -- committed to ending the war -- seized power, fraternization only increased. 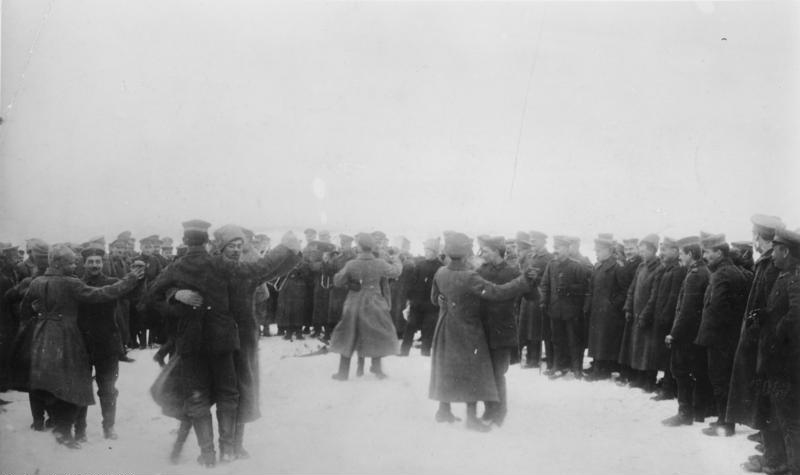 You can find many photographs of Russian and German soldiers posing together or even, in one case, dancing in couples in the snow. Generals on both sides were appalled. The French socialist Jean Jaurès spoke out passionately against the war he saw coming in 1914 and, due to this, was assassinated by a French militarist just four days before the fighting began. (The assassin was found innocent because his was labeled a “crime of passion.”) Against the opposition of their own governments, the pioneer social worker Jane Addams and other women helped organize a women’s peace conference in Holland in 1915 with delegates from both warring and neutral countries. And in every nation that took part in that terrible war, young men of military age -- thousands of them -- either went to jail or were shot for refusing to fight.